It’s only 10 years since Facebook was founded in a dorm room in Harvard, and eight since Twitter’s co-founder sent the first ever tweet. But social media is so significant in our lives today that it even has a day named after it. 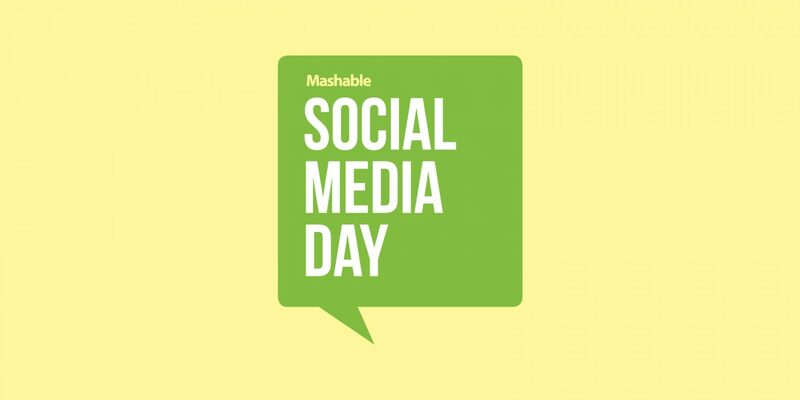 Mashable is celebrating its fifth annual Social Media Day on June 30, 2014. Very aptly, it’s promoting the hashtag, #SMDay. From how we report news and engage in politics, to the way we maintain relationships and store memories, this blog examines eight key ways in which social media has changed the way we live our lives, consume media and communicate Politics The Arab Spring of 2010 was a pivotal event in the history of social media. It was used as a platform for rebel leaders to discuss their ideas and recruit others to their cause. The ultimate result was the overthrow of leaders in Tunisia, Egypt, Yemen and Libya. Social media has been gaining momentum as a political tool in Britain in recent years. Recent research by OnePoll and youth charity vinspired revealed two thirds of under-25s said politicians could win their votes if they delivered their manifestos on social media, and that politics would be easier to understand in this format. As campaigning heats up ahead of the 2015 general election, it’s already clear social media will play a vital role, with Labour’s election co-ordinator Douglas Alexander saying it’s a ‘priceless’ tool in their campaign. Meanwhile, David Cameron has hired Barack Obama’s campaign manager, Jim Messina, to boost the Conservatives’ chances of electoral success. It was Mr Messina who helped President Obama not only become the first African American to be elected US president, but also the first presidential candidate to effectively use social media as a campaign strategy. The Arab Spring also influenced the way events are reported by news outlets. The state possessed a great deal of control over the media within the countries where the uprisings broke out. So, people used Twitter and Facebook as a platform to get their voices heard as well as post photos and videos of unfolding events. Journalists from around the world, myself included, were assigned to monitoring these platforms, assessing the validity of the posts and reporting developments accordingly. Social media has transformed the way we consume content. People use their Twitter, Facebook and Pinterest timelines to share news and content that resonates with them; from a video of Fenton running away from his owner in Richmond park and pictures of Lady Gaga wearing a ‘meat dress’, to news articles and interesting infographics. Businesses are responding to this and are therefore, adapting the way they create and promote content. It’s no longer adequate relying on advertising slogans for drawing in customers. Today, the key is to create thought provoking blog content, videos, images and infographics that will grab people’s attention and be shared online. Facebook settings enable us to choose who sees what on our timelines. Twitter is a much more public forum, where you publish your thoughts (in 140 characters or less) to a global audience. Although Facebook, in particular, has been criticized in the past for storing huge amounts of data on its users, as long as we’re savvy with privacy settings, we can all keep ourselves protected. Thanks to Twitter’s real-time platform, the use of the hashtag has exploded across traditional media. Displayed during TV shows, in newspapers and commercials, we can all now ‘join the debate’ and discuss – very publicly – our thoughts on what we’re reading or watching. The directory, Twubs, stores thousands of hashtags, enabling people to search trending topics as well as register our own. Facebook has made it much easier to stay in touch with old classmates as well as friends and family in far-flung corners of the globe. Users share anything and everything; from our latest breakup or job promotion to pictures of our wedding day. The question is, has social media made us lazy in our relationships? Well, studies have shown that people are actually becoming more social with others. However, the style of communication has changed, so we’re not meeting face-to-face as often as we used to. Education If you have a young child at home, the likelihood is they’ll be better on your iPad than you are! Social media has revolutionised the way children learn and there are countless apps available, which ensure that kids’ minds remain active outside the classroom. Memories On a final, rather reflective note, you may remember the days when you bought disposable cameras that allowed you to take a whopping 25 photos? You might laugh as you reminisce, but those were the days when all returned from our holidays and actually printed out the photos we took. Today, we take snaps on our iPhones and post them to Facebook, often forgetting to store them on the hard drives of our computers. They then get lost in the ether of social media updates, and remain forever confined to the depths of our online image galleries. There’s some sadness in that we rarely own ‘hard copies’ of photo albums anymore. Whether you think it’s for good or for bad, there’s no doubt social media has transformed our relationships, our jobs and the way we entertain ourselves.